By May of 1780 the Continental Army under the command of George Washington had reached a point of no return. According to Joseph Plumb Martin, the son of a minister from Milford, CT, and a soldier who seems to appear at most major Revolutionary War battles, “here was the army starved and naked.” The situation had evolved because of the horrendous winter in Morristown, NJ, the lack of support and funding by the Continental Congress, and the weak infrastructure that plagued Washington’s army. Most Americans were unaware how poorly the American military was outfitted and how the men were forced to live and fight under intolerable conditions for a good part of the American Revolution. This theme is one of the many that Nathaniel Philbrick argues in his new book VALIENT AMBITION: GEORGE WASHINGTON, BENEDICT ARNOLD, AND THE FATE OF THE AMERICAN REVOLUTION. Those who are familiar with Philbrick’s earlier works like the MAYFLOWER AND IN THE HEART OF THE SEA will not be disappointed with his latest effort. Philbrick continues his narrative works dealing with the American Revolution and has written another evocative and fascinating historical monograph that should be attractive to the general public and professional historians. Philbrick’s approach rests on the exploration of the personalities, military capabilities, and the “valiant ambitions” of George Washington and Benedict Arnold. In addition, Philbrick weaves into the narrative the economic hardships, societal relationships, and battlefield experiences of the lower classes who fought the war. The book builds up to a situation where one of Washington’s greatest generals came to decide that the cause to which he had given almost everything no longer deserved his loyalty.” Of course that general is Benedict Arnold, a brilliant military tactician on land and sea, but also a person who possessed an ego that surpassed most people of his age. His sense of entitlement knew no bounds and after his leg was shattered in battle and many of his investments did not bear fruit he contemplated how he could recoup much of his wealth that he claimed was lost in support of the revolution. Further exacerbating his psyche was his infatuation and love for Peggy Shippen, whose father Edward was a wealthy loyalist and to win her hand in marriage he had to create the wealth that she had grown accustomed to. Politics also played into Arnold’s bitterness toward the colonial government in that Joseph Reed, the President of Pennsylvania’s Supreme Executive Council and the most powerful man in the state launched an investigation into Arnold’s conduct as military governor of Philadelphia. This would lead to Arnold’s trial which on top of previous episodes of fighting for his proper rank made Arnold ripe for treason. Philbrick does a masterful job following Arnold’s path to becoming a spy and integrated many primary documents to highlight all aspects of Arnold’s overblown sense of his own importance and the resulting trial and court-martial. 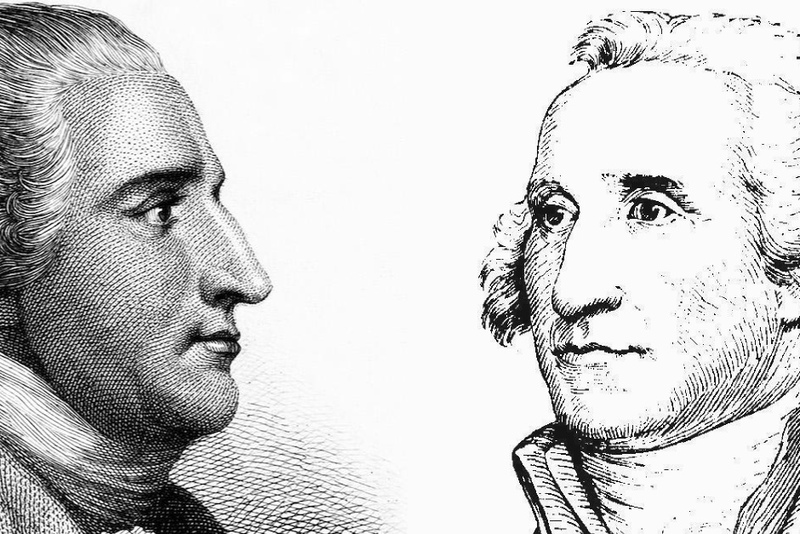 Philbrick effectively contrasts General Arnold with George Washington a man who did not measure up to Arnold as a military tactician, but was the type of individual who eventually would learn from his mistakes. The Washington that Philbrick presents is a man who must fight his “inner demons” which were his naturally aggressive tendencies. By the spring of 1777 Washington argued for a “War of Posts,” a defensive strategy that made perfect sense against the British. However, he would repeatedly violate this strategy by assuming the offensive at Brandywine and Germantown which resulted in the British occupying Philadelphia for eight months. As a result Washington finally learned to control his offensive instincts and do what was best for his army and country. Washington had been placed in the untenable position by the Continental Congress that put him in command of the army to prosecute the war, but would not allow him to choose his own officers, on which he had to depend on most. To his credit Washington realized the limitations that were placed on him were due to the politicization of the war and decided to deal with the situation as best he could. On the hand Arnold was emotional and impulsive at times, but was a sound military thinker who, unlike his commander, had the ability to outthink his opposition and take advantage of the topography available to him. I agree with Philbrick that Arnold’s “narcissistic arrogance that enabled him to face the gravest danger on the battlefield without a trace of fear had equipped him to be a first-rate traitor.” It is interesting to note that had the Continental Congress headed Washington’s advice concerning Arnold’s promotion and seniority he might have gone down in history as one of the immortals, not someone who has been labeled a traitor. Philbrick’s narrative is not a complete history of the American Revolution, but he assimilates the most important battles into the narrative, the strategies employed by Generals Burgoyne, Howe, and others for the British, in addition to Generals Horatio Gates, Philip Schuyler and others for the Americans. The book is enriched by the competition between these men, in particular Gates’ attempt to seize command of the army from Washington. Further, the reader is exposed to sectional political machinations between the New England, Atlantic, and southern states that fostered much of the domestic and internal military hostility that existed during the fighting. Philbrick is a meticulous researcher and this is reflected in his unique story telling ability and novelistic detail. However, if there is an area that Philbrick could have developed further, it is the lack of interactions between Washington and Arnold, particularly during the first half of the book. The author could have spent less time describing battle details, though highlighted with excellent maps, and devoted greater emphasis on the two main characters in the narrative, how they interacted with each other, and the ramifications of those interactions. Philbrick reaches an interesting conclusion in that Arnold did the young nation a tremendous service through his treason. During almost five years of fighting the Continental Congress was rather disjointed, rivalries between regions detracted from any hope of unity, and the military situation was poor. Arnold’s treason galvanized the American people against him and created a sense of common purpose. Though the people had come to revere George Washington as a hero, it was not sufficient to bring the people together, but now they had a despised villain to accomplish that goal. The real enemy for the young nation was not Great Britain but those Americans who sought to undercut their fellow citizens’ commitment to one another. Philbrick’s argument is rather interesting and a bit overstated, but he argues it quite well. VALIENT AMBITION is a fascinating study and will make a wonderful addition to any library of the American Revolution.